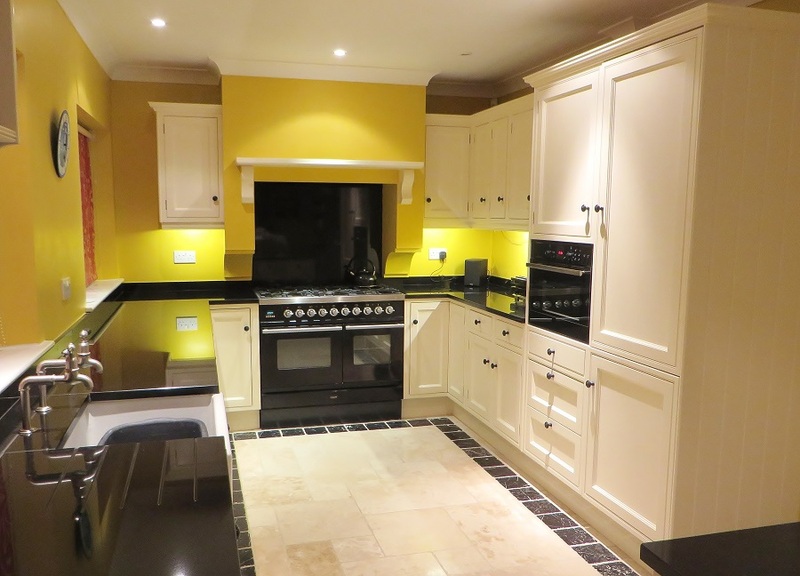 For my first Blog of 2015 I thought I’d do a case study of a kitchen re-paint I completed towards the end of last year. 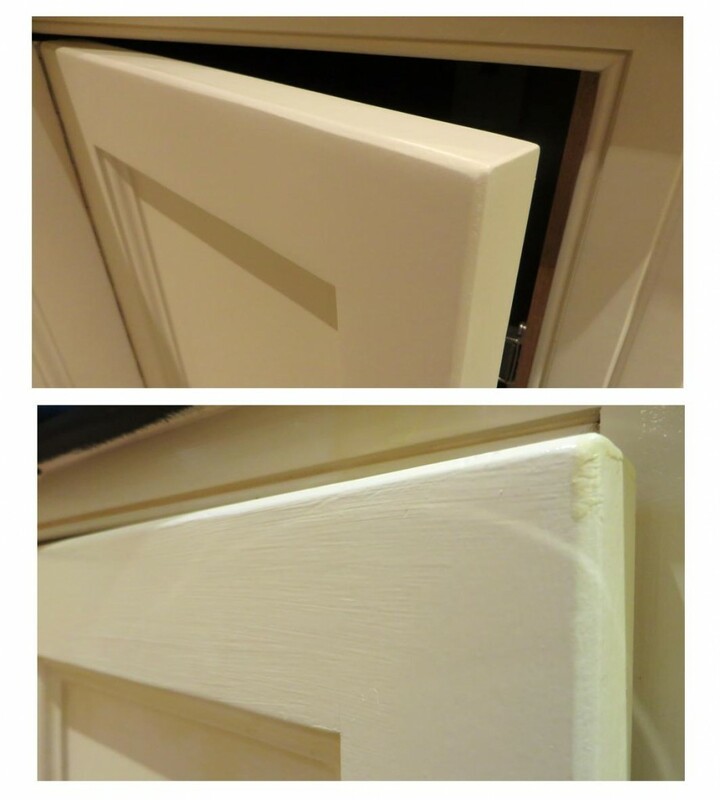 As it’s a kitchen re-paint I thought I’d focus mainly on close ups to show the difference between my finish and the one acheived by the other kitchen painter. 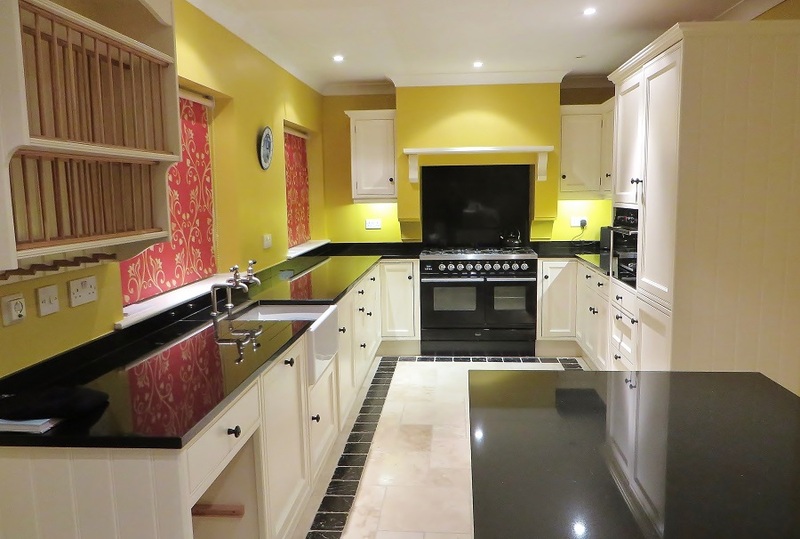 Not all kitchen painters are the same and this kitchen really shows that. 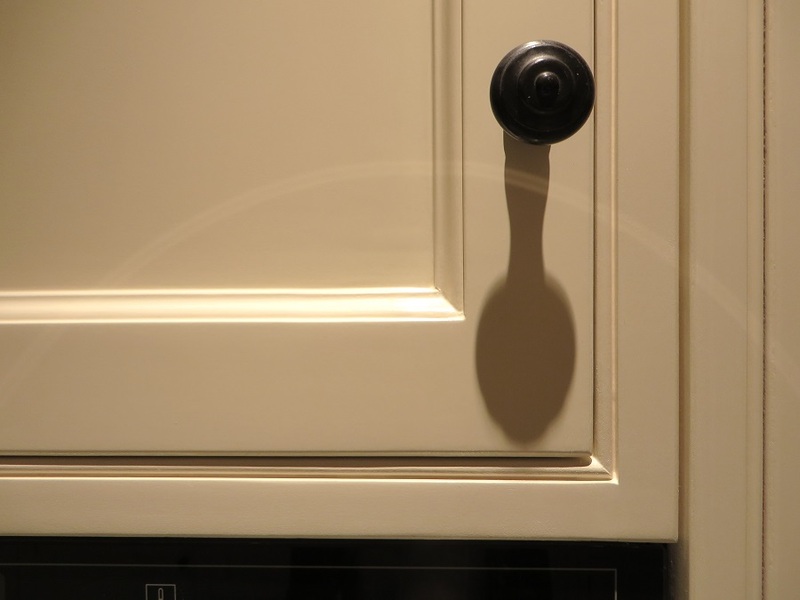 At ‘Traditional Painter‘ we pride ourselves on achieveing the best and most durable finish possible. ‘That’ll do‘ is not in our vocabulary but I think it most certainly was for the other kitchen painter! 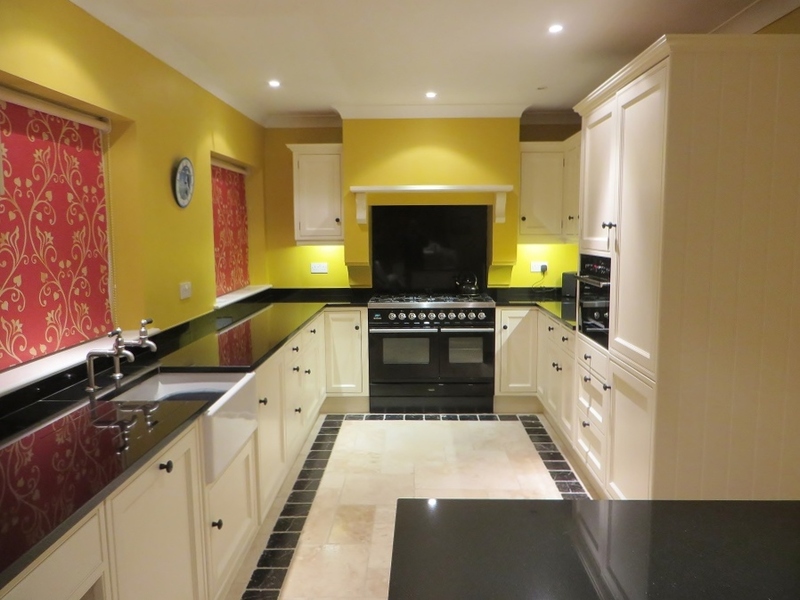 The kitchen itself was hand made, bespoke and built to a very high quality by a local kitchen company. 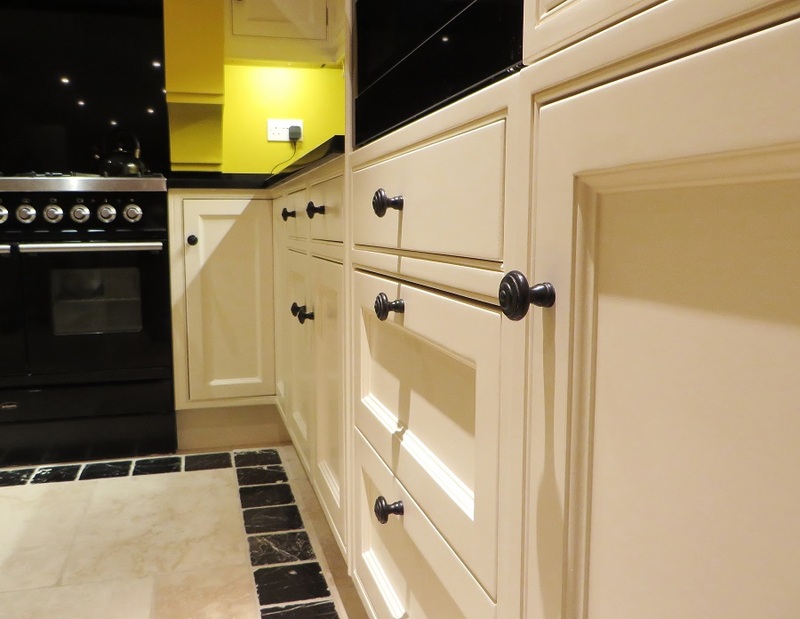 The paint finish however was not only poorly applied but had also not worn well, coming away in various places and making the kitchen look really pretty shabby. The clients lived in the lovely village of Whixley, which lies peacefully in the Vale of York, between Harrogate and York. They had seen my profile on Traditional Painter and, having liked what they’d seen, got in touch and asked if I would give them a price for re-painting their kitchen. They sent me though some pictures and after sending them an initial guesstimate by return they were keen to meet up to discuss things further. During the consultation I explained the process and materials I would use and what type of finish and durabilty I could achieve. They seemed very happy with everything I proposed and after getting a couple of other quotes (all of which were lower) they decided they wanted to entrust their new look kitchen to me :-). Preparation on this kitchen was going to be absolutely paramount as I had to ‘undo’ everthing that the first kitchen painter had done. 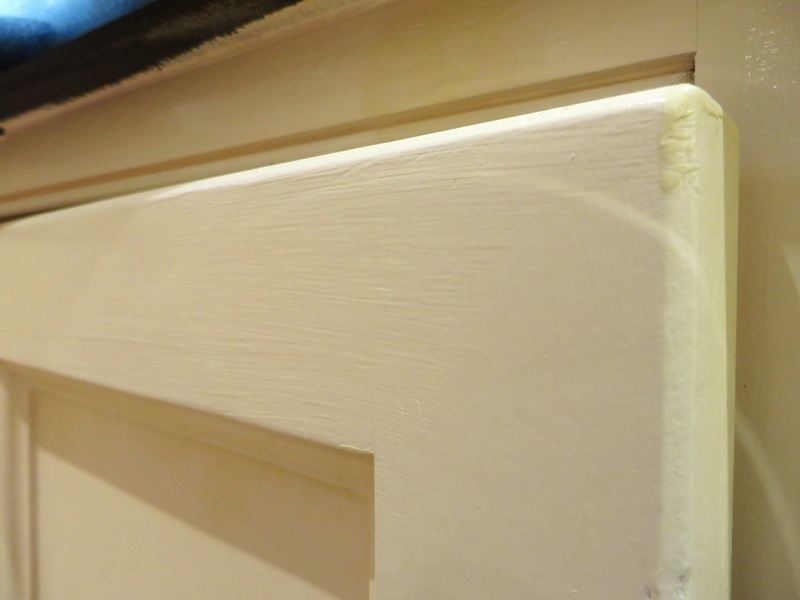 As you can see from these pictures the quality of the initial finish was very poor – with visible brush marks, blobs, bits and a general lack of any attention to detail. The final top coats are only as good as the base onto which they are put, so I was going to have to thoroughly sand everything back so I could start with a smooth base. Before any sanding could begin however the first job, as always, was to remove all the handles. I then thoroughly clean all areas with my favourite cleaner/degreaser * Krudcutter Original. This product is second to none for removing grease and grime from kitchens and is eco-friendly too, win win! Once cleaned and wiped down with a damp cloth, my next stage was to mask off the floors, worktops, walls and various other areas. The worktops and floor were maksed off with lining paper whilst the microwave was masked off with plastic sheeting. I use the lining paper as it easily allows me to keep on top of hoovering up any dust and ensures there is no danger of any paint getting where it shouldn’t. For the taping I used 4 different types of masking tape, each designed with a specific use in mind. I used super low tack 3M ‘Self Release’ tape on the walls and a combination of normal masking tape, 3M’s Edge Lock and 3M’s Blue Tap for all the other areas. As I mentioned above, the sanding part of the preparation process was going to be key for this job. I needed a smooth base before I could begin applying the primer and not much of the previous paint finish was smooth! As you can see from the pics below I was going to have to get rid of all the brush marks, clumps of paint and bits before I could start priming and painting. For the sanding I used a combination of my Festool RTS 400 Q-Plus GB 240V Orbital Sander (which allows for virtually dust free sanding), Mirka Golf Flex and Festool Brilliance Pads. The Festool pads worked really well in removing the clumps and bits from the detailing and the Gold Flex worked perfectly for the beading. 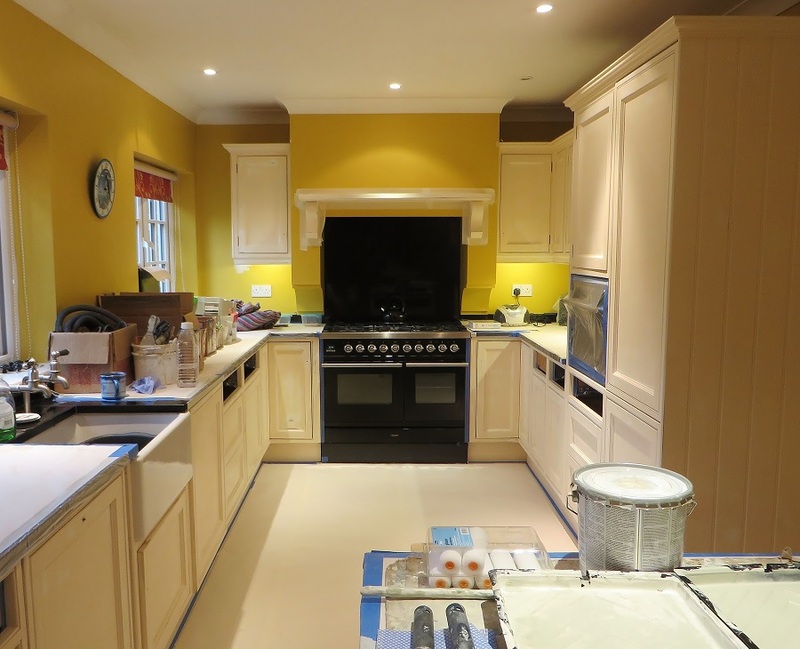 This part of the project took quite a bit of time and patience, but as with any good hand painted kitchen, preparation is vital and a big part of the work load. 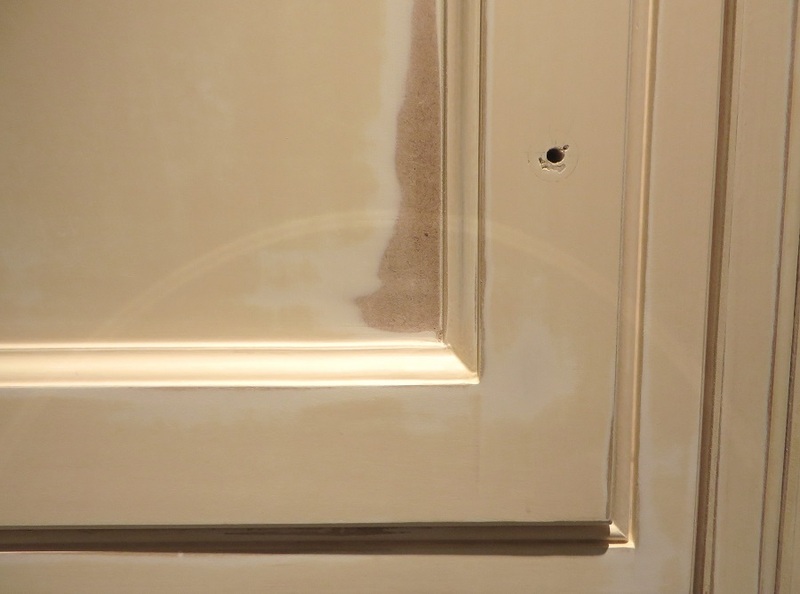 As you can see from the picture below, the finish took a lot of smoothing out and in some cases I had to go right back to the wood. Once everything was thoroughly sanded I used *Axus Pro Finish Tack Cloths to remove any really fine dust particles. 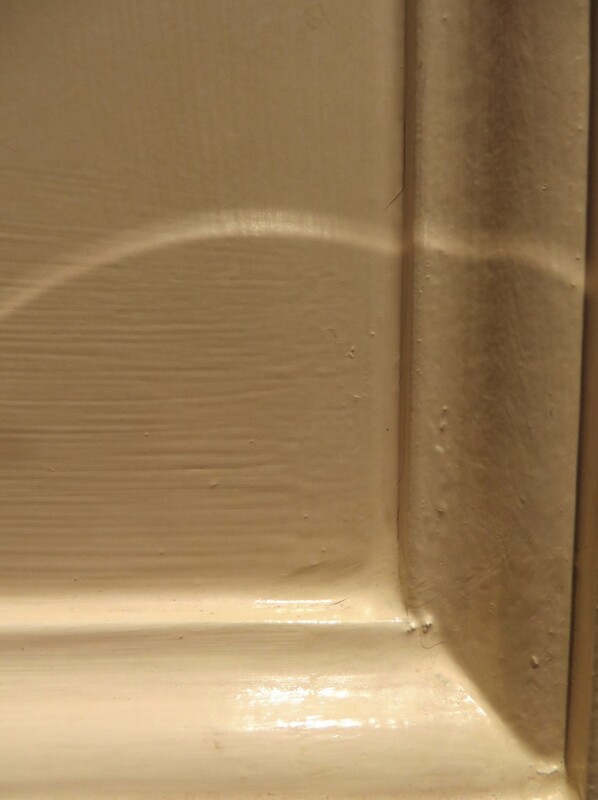 Dust is a good painters enemy and it’s really important to keep on top of it at all times to ensure the perfect finish. I then caulked some of the detailing to make it look consistant and smooth and used Fat Hog’s Fine Surface Filler on various other places that required filling. 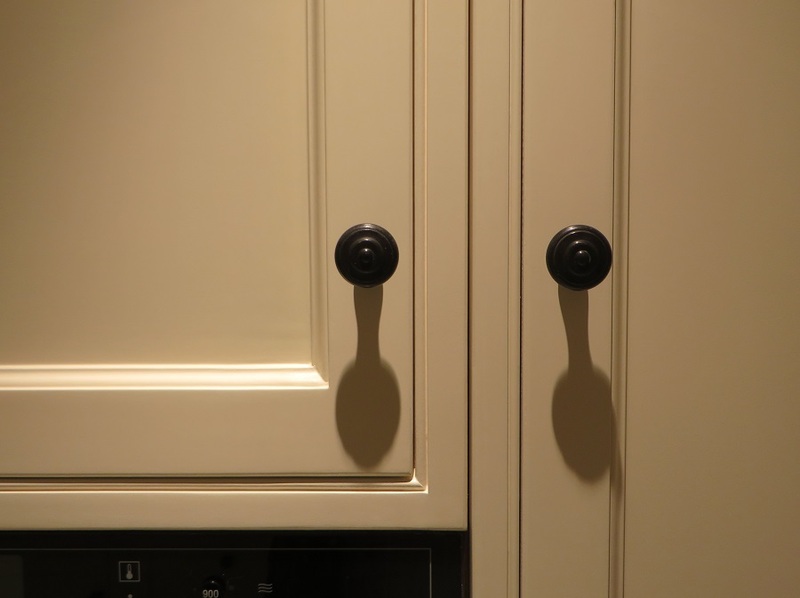 Though the kitchen had already been painted it was essential that I created a better and more durable base for my top coats. 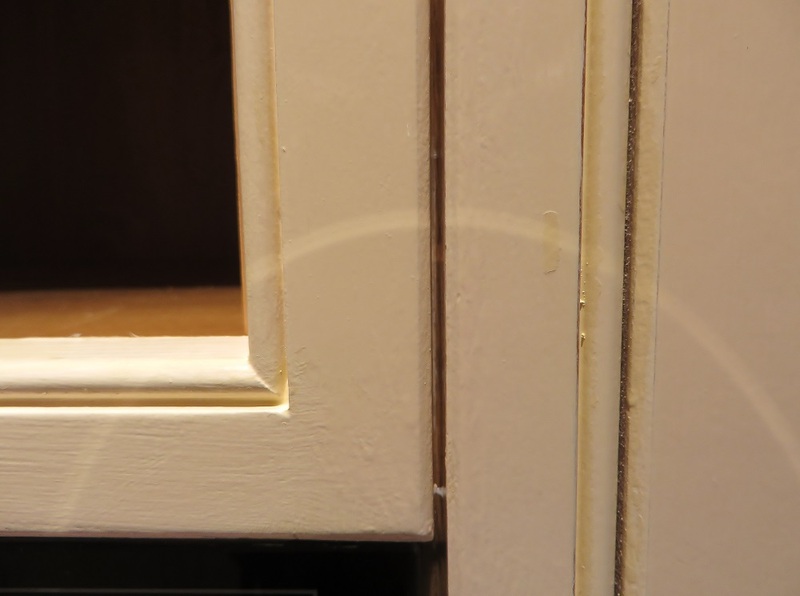 I therefore turned to my primer of choice – Otex by Tikkurila – which I bought from Holman Paints. Otex can be tinted and offers the perfect base for my top coat of choice, and in my opinion the best eggshell on the market – Empire by Tikkurilla. For this project I had both tinted to an equivalent shade of LG’s ‘Whitening’. I applied two coats of Otex and two of Empire, sanding between coats and used a mixture of artist brushes, a high density foam roller, the Fox Velvet Flock, and various more specialist brushes to get the silky smooth finish you see here. The finished result is a beautifully even and durable brush mark free finish. Now the kitchen finally has the paint finish it’s craftmanship deserved! Thanks for reading and stay tuned for more Blogs and case studies throughout 2015.